There are just those days when us girls need a quick, easy to do hairstyle that gives us optimal style impact with minimal time and effort. Whether you’re just coming back from the gym with no time to spare or you totally overslept and have to rush out the door, quick hands and creativity are of the essence. While some of us may cringe at the thought of going out with wet hair, it can sometimes be the easiest style to manage. Below, check out our top five wet hair ‘dos that’ll have you looking put together in no time. 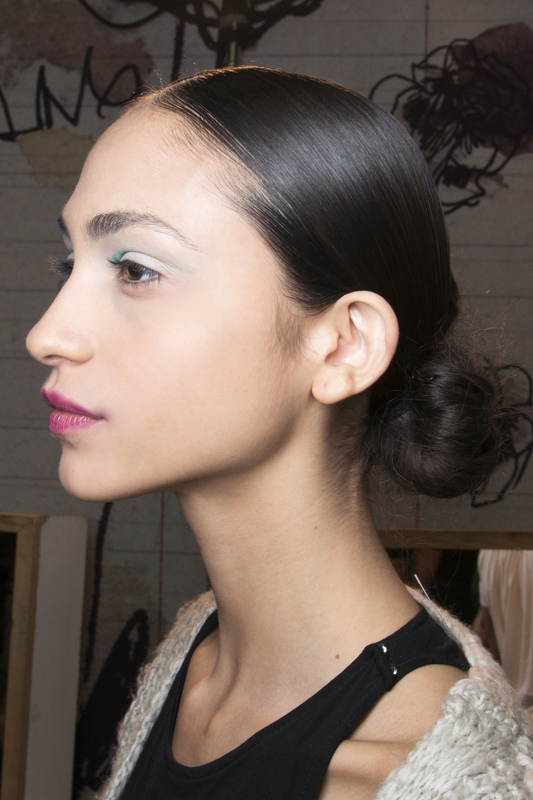 For a romantic look, start with a side part and scrunch in some wave-enhancing spray or mousse. We love this Surf Spray from Bumble and bumble. Gather all your hair onto one side, combing through the back so it falls over your shoulder. Then, secure hair at the base of your neck with bobby pins so it stays in place on its own and finish with a generous helping of hairspray for all day hold. Tried and true, yet always classy, the low pony is a go-to favorite. It’s so easy to achieve and will never go out of style. For this look, part your hair into a deep side part and brush each strand into a ponytail, tightly securing it at the nape of your neck. 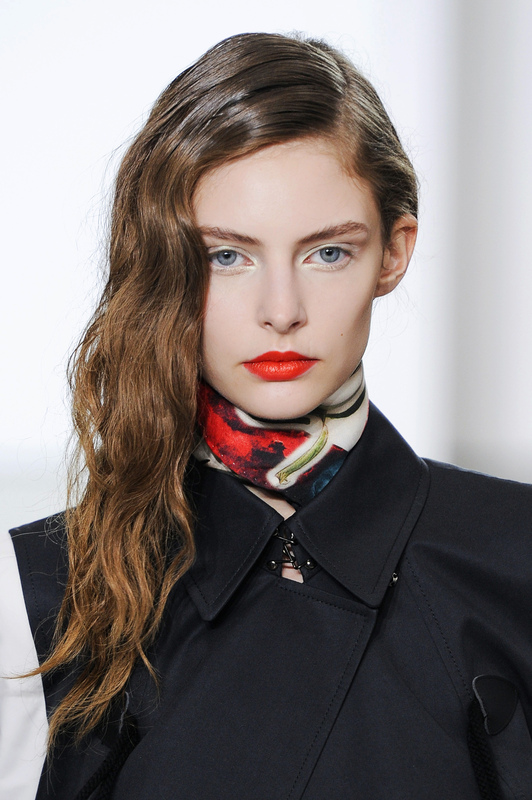 Tame flyaways with hairspray or a light hold gel so nothing sticks out of place. A cool trick is to comb through all the little hairs using a toothbrush or disposable mascara wand for a super sleek finish! Who doesn’t love a little messy bun action? We absolutely do and this one is super easy. Apply smoothing serum before brushing hair back into a ponytail using a dense boar bristle brush, like this one. After securing with a hair tie, twist your hair up and around the tie, forming a bun. Don’t worry, it doesn’t have to be perfectly donut-shaped! Secure your bun with another hair tie, or insert bobby pins until it’s all set and you’re ready to go! This look embraces one of the most classic hair accessories ever: the headband. If your hair turns into an unruly mess when it’s wet, try hiding it (while looking super cute) with a headband. There are so many designs and options out there, so you can definitely use one to accessorize your look. Use a serum or cream first to smooth hair, or use a mousse if you prefer some waves. Then simply pull your headband back so the front parts of your hair are out of your face and voilà! This ultra high pony is bound to turn a few heads. 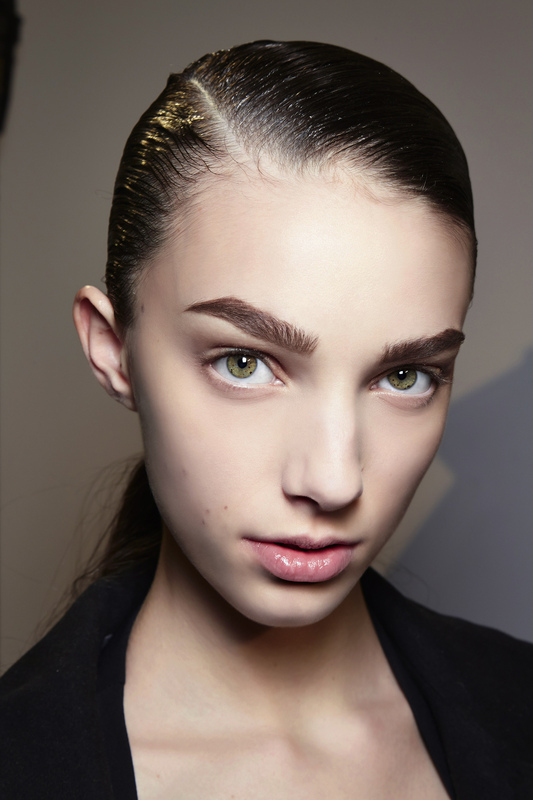 Start by applying medium/strong hold gel, focusing on the crown of your head. Then, flip your hair upside down, brushing each hair into the highest pony possible. Once it’s smooth on all sides, secure it with a hair tie and touch up any loose areas or stray hairs. For a slight upgrade, take one small piece of hair from the bottom of the ponytail and wrap it around the hair tie so it’s invisible. Pin the ends with bobby pins at the base of ponytail and you’ve got yourself a fabulously chic hair look!